Summer means, fresh fruits and vegetables, longer days and warmer nights, and so many fun festivals and outdoor options to stay fit and enjoy your family and friends. I hope your summer is off to a good start and that, wherever this newsletter finds you, you are enjoying your summer! FORWARD started our summer off with a splash! We had over 100 attendees participate in the FORWARD Coalition Meeting on June 22nd at Danada House. It was great to see so many new partners as well as many familiar faces. We had a full room of participants to hear from our DuPage experts on the subject of Metabolic Disorder. Thank you, Dr. Vince Bufalino from Advocate Health Care, Dr. David Dungan from DuPage Medical Group, Dr. Patrick Zeller from Northwestern Medicine Physician Partners, and Dr. Timothy James from Central DuPage Hospital/Northwestern Medicine for sharing your extensive knowledge. Thanks also to Advocate Good Samaritan Hospital , AMITA Health , DuPage County Health Department , DuPage Medical Group , Edward-Elmhurst Health , Northwestern Medicine and Whole Foods Market for sponsoring the event and to those who provided resource tables. The day was truly a huge success! Click here to access the presentations and pictures from the event. The dog days of summer will provide FORWARD with an opportunity to assist the DuPage County Fair organizers with a healthier venue. 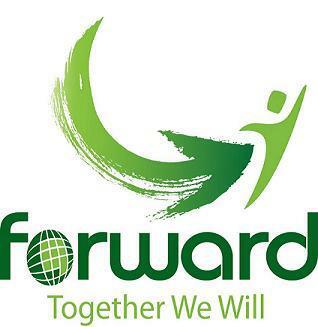 Mark your calendars for FORWARD’s “Get in the Action Day” at the fair on July 26th. This is the first day of the DuPage County Fair and it will be tailored towards families. All kindergarten through 8th grade children in DuPage County qualify to receive a free ticket to attend. Each must be secured prior to the event. Free tickets are not available onsite. Click here to receive your free ticket. FORWARD and our partners will be present at the fair from 9:30am-4:00pm that day to help offer a variety of active and healthy options including cooking demonstrations, reaction training with lights, obstacle courses, gardening games/demonstrations, healthy bingo, soccer, lacrosse, Nerf battles, label reading, and drumming on buckets. For more details on the FORWARD stations click here. Lastly, if you are interested in getting more involved with FORWARD or to improve the health for DuPage County residents through one of our strategies (Healthy Schools, Worksite Wellness, Healthy Municipalities and/or Healthy Early Childhood) please contact Tonia at toniabato@gmail.com . We hope to see you at the fair! In the meantime, do something healthy for yourself every day. Enjoy the Summer! Seven Generations Ahead offers many amazing programs. Two programs in the “spotlight” are the Great Apple Crunch and Harvest of the Month. The Illinois Great Apple Crunch is a daylong celebration of Midwest produce. Schools across the state participate by serving local apples on the lunch tray and crunching into them together as a school. It is a fun event that lets schools support Illinois farmers and teach their students about healthy, fresh, and local food. Educational supplements are provided for use in the cafeteria and the classroom to teach students about Illinois apples. Mark your calendars for Thursday, October 12th, 2017. Register here. Would you like your school to buy and serve healthier local food? Connect with the Illinois Farm to School Network and get involved with their Illinois Harvest of the Month program. The program helps schools buy and serve more locally grown food, while teaching students about healthy eating, nutrition, and agriculture. Each month, schools can feature a different local item on their cafeteria menus. This brings more money to local farmers and puts more nutritious food on student’s plates. Additionally, Harvest of the Month foods come with activities and resources for ways to increase education around that food. It’s fun and easy! Contact the Illinois Farm to School Network here to learn more about how to participate in Illinois Harvest of the Month. Illinois' General Assembly overrode the Governor's budget veto to pass a state budget after a two year stalemate. While this is good news for many, once again, Illinois' strong physical education (P.E.) mandate was used as a political bargaining chip. Daily P.E. has shown to have strong and positive impacts on academic performance. C lick here to send your lawmakers a message asking them to protect daily P.E. in Illinois. create sensational summer recipes. Register today. Complimentary training is available for qualified organizations interested in becoming a Diabetes Self-Management Program provider. Register today. Get your organic late-season seedlings at the Barn Owl. 20% of purchases will be donated to GardenWorks. Register now. Enjoy a four-course world-class dinner that includes organic vegetables from McDonald Farm. Buy tickets now. This forum will bring together organizations and key stakeholders dedicated to improving the health of all Americans. Click here to register and learn more about the forum, including sponsorship opportunities. Programs in DuPage County enrolling soon! Reduce the risk of developing diabetes by taking steps to improve overall health. This year-long program includes 16 weekly sessions and additional monthly sessions. It combines nutritional education with physical activity. Thanks to a grant from DuPage Foundation, new classes will be starting soon including in Glendale Heights. Contact Katie Sivak at ksivak@ryallymca.org for more information. Partner with the YMCA to promote and improve health for your employees. Through a range of fitness and educational programs, the YMCA will help you and your employees define goals and create a customized plan to achieve them. Contact Katie Sivak at ksivak@ryallymca.org for more information. The foundation is currently building a new pediatric weight management model to license the results-oriented 8-week program. They are seeking out a partner to help in the development of this program in the fall of 2017. For more information contact Nicki Klinkhamer at nicki@proactivekids.org. Help Market the FORWARD Initiative! Do you know of an upcoming event or health fair in DuPage County? We have marketing materials available for our coalition members. Please contact us if you are interested in distributing health and wellness materials at an upcoming event. Call us at 630.221.7550 or emaill healthpromotions@dupagehealth.org.